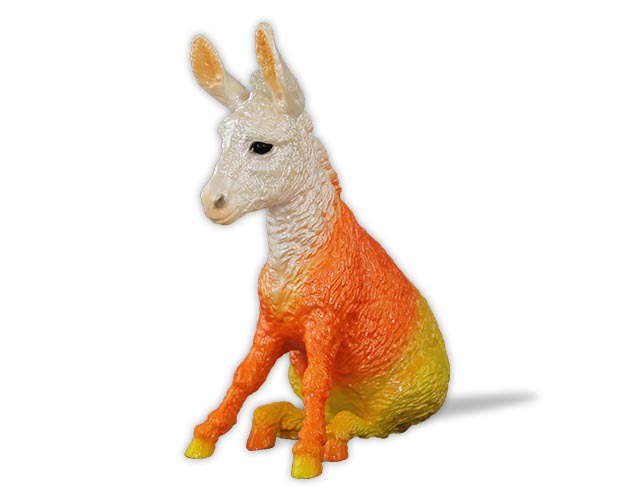 Meet Cornelius, a Breyer Micro Run Halloween Brighty! 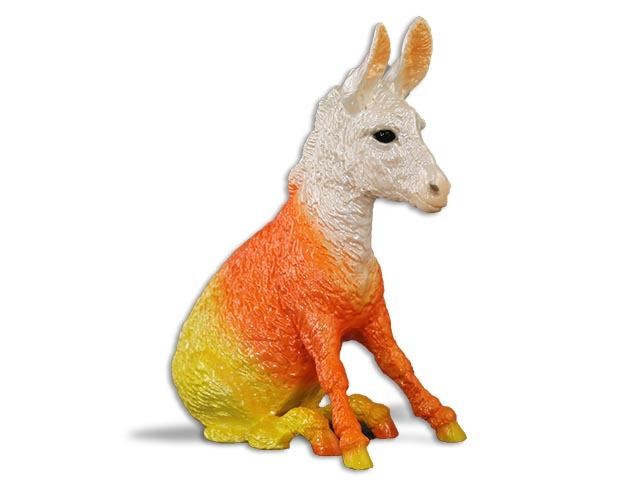 He is the beloved Brighty mold dressed up in candy corn colors! Cornelius is product number 430047. 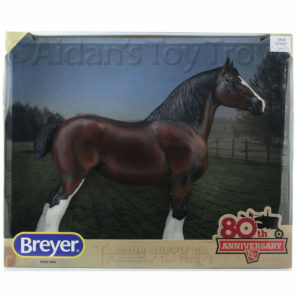 He is available to purchase by lottery to current Breyer Collector’s Club members. 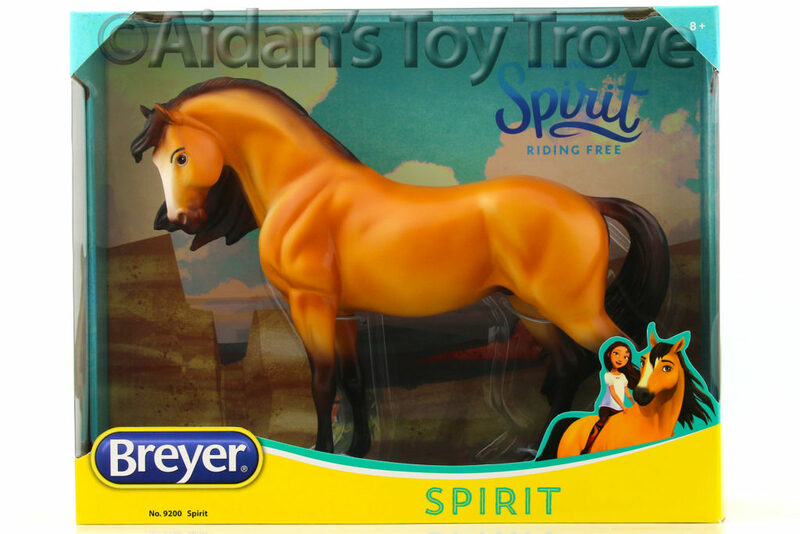 He is limited to just 50 pieces. 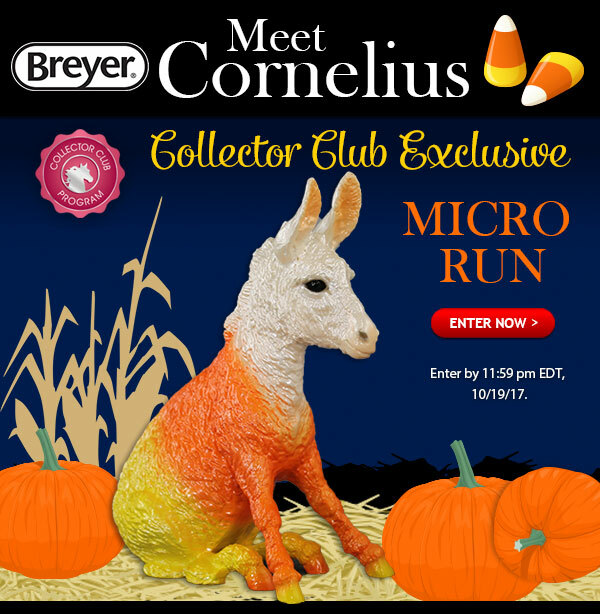 Collector’s Club members may enter once a day for the chance to purchase Cornelius from October 17th until October 19th, 2017. 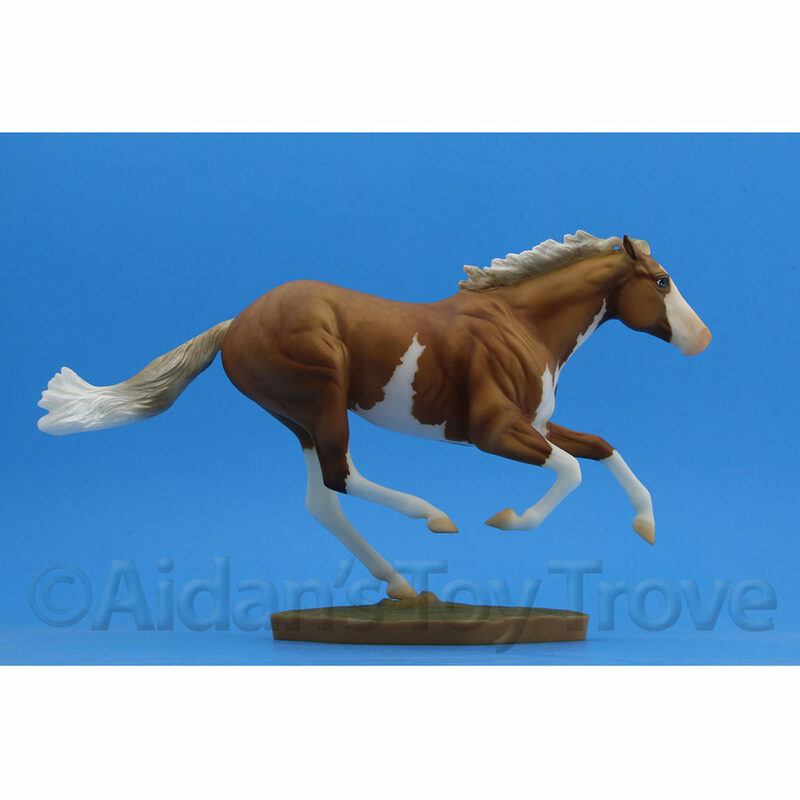 Winners will be drawn and notified on October 2oth. 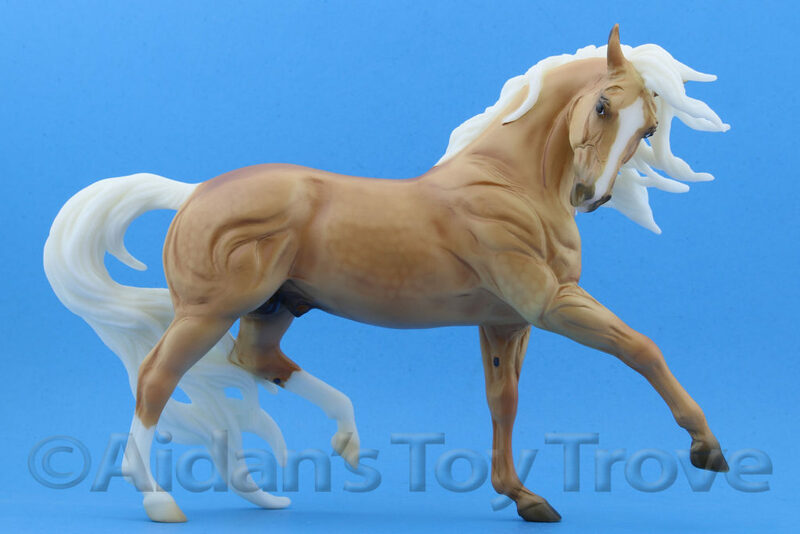 The purchase price of Cornelius is $195 + shipping. 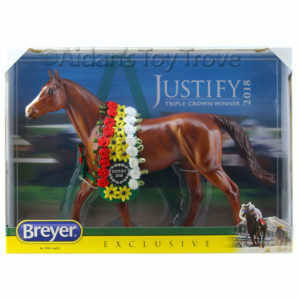 Since Breyer seems to base the cost of shipping on the value of the model, I believe that the shipping cost will be $17.50. 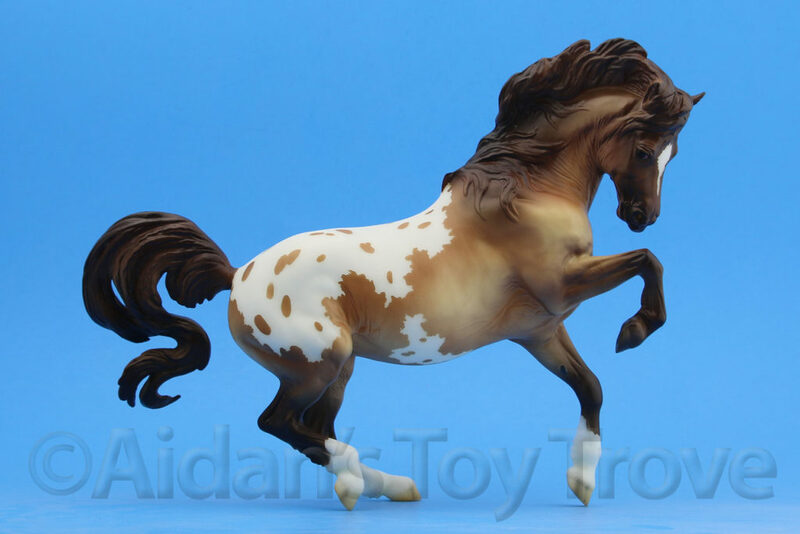 Duende cost $17.50 to ship and Cornelius is in a similar price bracket. 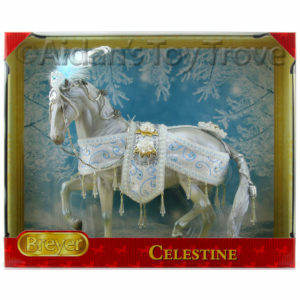 This would bring the total price of Cornelius to $212.50. 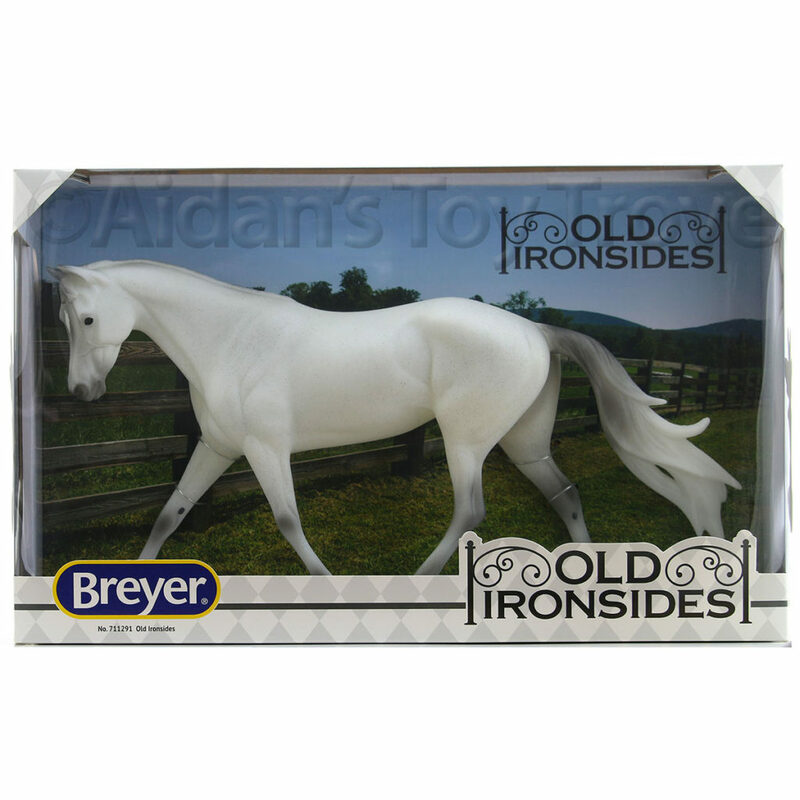 Historically, Breyer has made their micro runs on non equine molds. 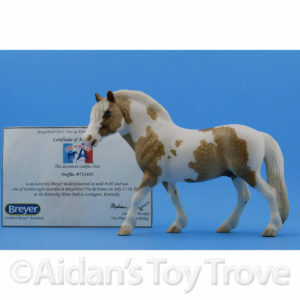 While Brighty isn’t a horse, he’s about as close to a horse as I have seen on a micro run! 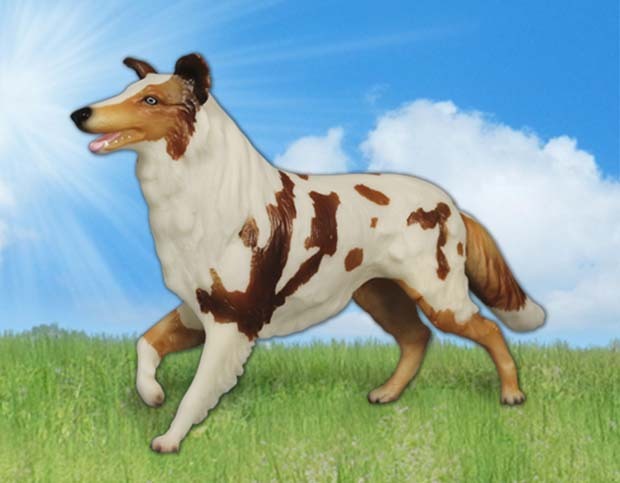 Maurice the Collie dog was a Breyer 2016 Micro Run. 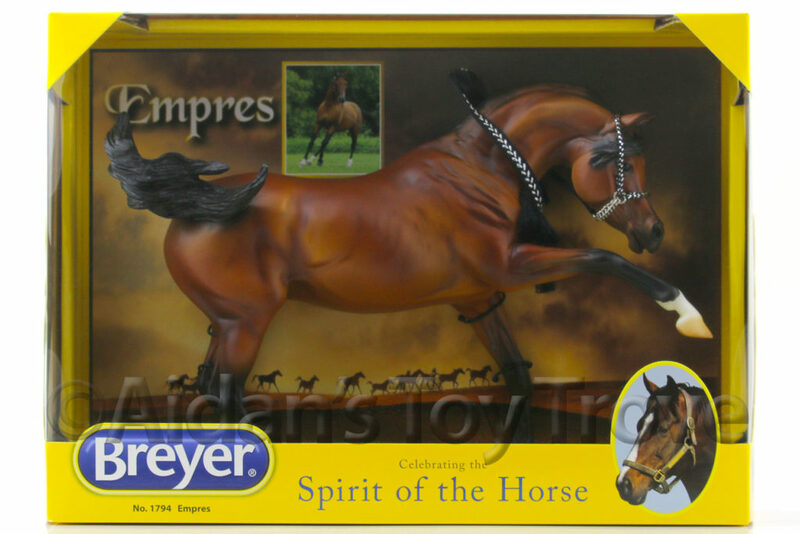 I have yet to be drawn for any of the Breyer Micro Run lotteries but I will be entering for Cornelius! 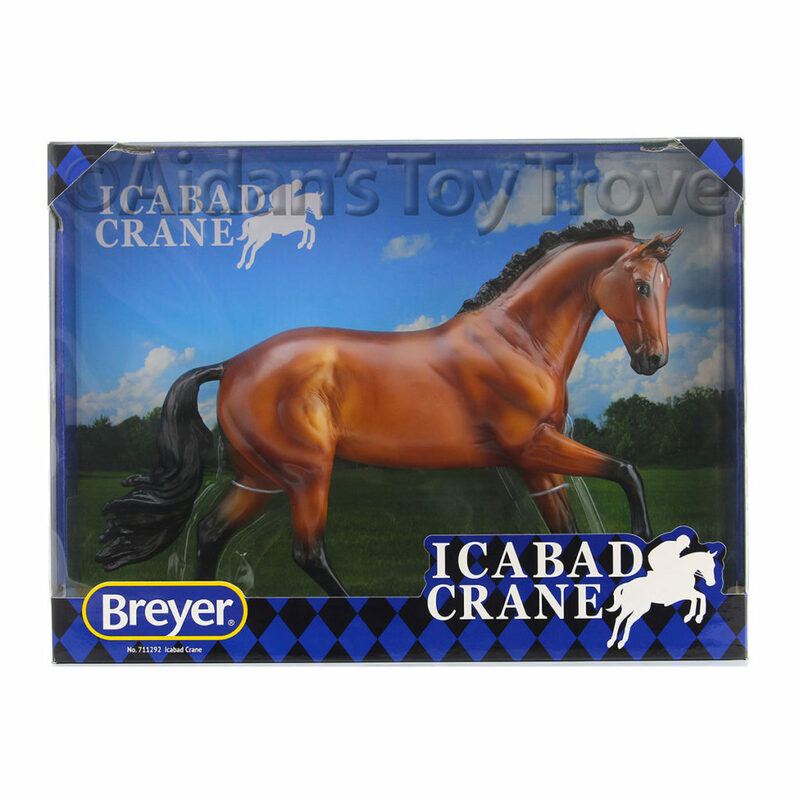 Be sure to be logged into your Breyer Collector’s Club account and you can see Cornelius directly at this link. 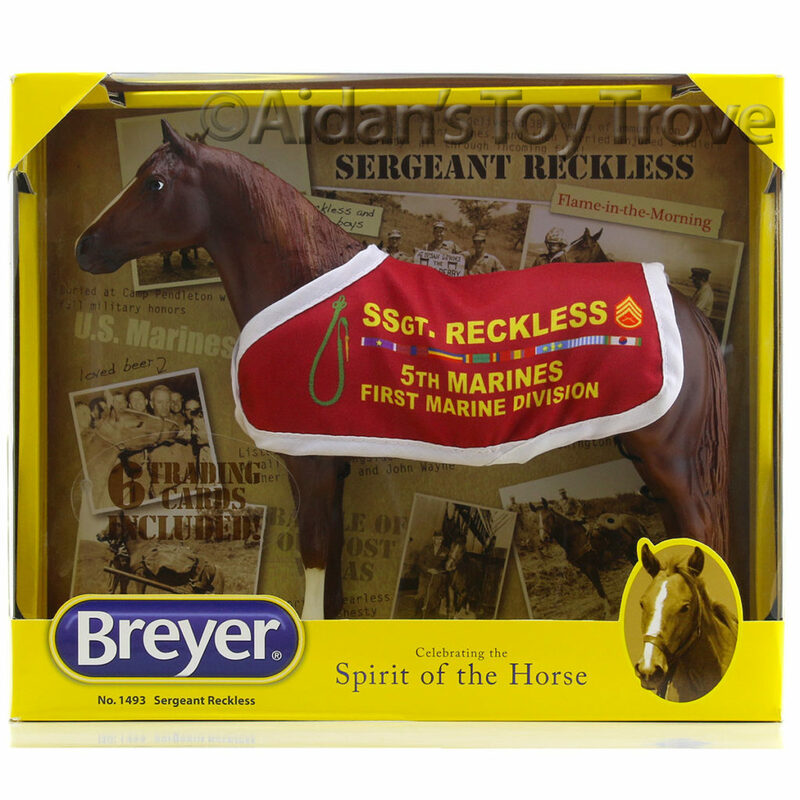 Here is what Breyer has to say about Cornelius. 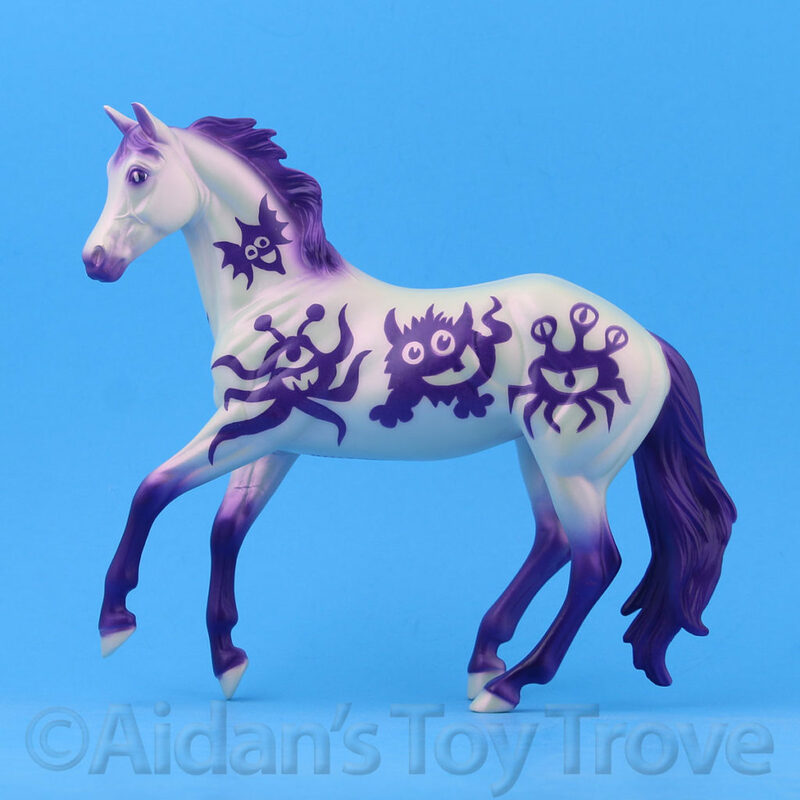 And yes, like the last Micro Run they mispelled the word ‘mircro’, teehee! What a great Halloween treat!! Meet Cornelius! 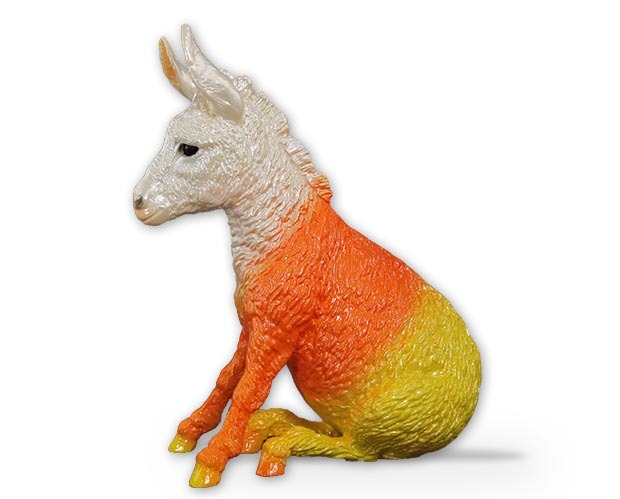 Cornelius has dressed up as his favorite Halloween treat: candy corn! He’s pearly and delicious and glossy for added good measure. We LOVE him! But there are only 50 of him, so act fast! 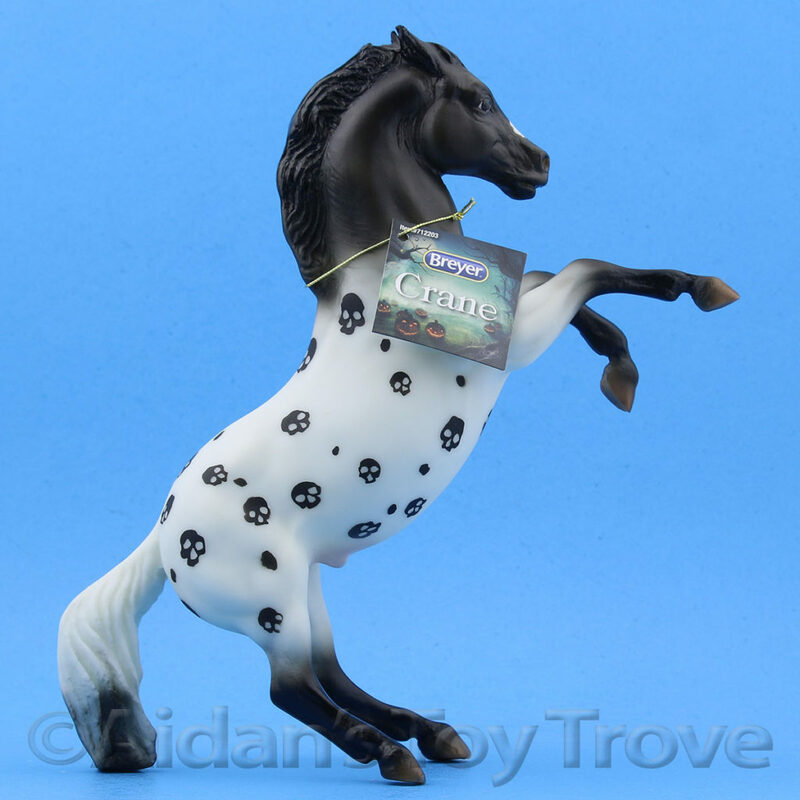 Please note: Cornelius comes in a mail order box; not retail packaging.